Do you want to be a successful profitable blogger? Then you’ve probably heard about Elite Blog Academy (EBA) by Ruth Soukup. My guess is you came across this post about EBA to read about it and see if it’s for you. That’s a smart thing to do because there are tons and tons of products out there now that claim they’ll help you turn your starter blog into a profitable business. I want to share with you in this post why EBA really is a premier course to help you develop a quality money-making blog. I’ll share with you my story of how EBA has helped me as well as a look at blogging as a business without rose-tinted glasses so you can determine if EBA is for you. I enrolled in Elite Blog Academy in February 2017. I had learned the year prior that people actually earn money from blogging. Who knew? Since I love a good side hustle, I decided to give it a try. I signed up for EBA’s waitlist a few months prior to it being on sale and was excited for enrollment to open in February. I was 100% certain that I was going to buy it. The morning it went on sale, I woke up a little earlier than usual to sign on and buy it. When I opened the enrollment page, I balked at the cost. I literally closed the computer screen upon first glance at it because it was a lot more than I was expecting. I’m a personal finance blogger who is frugal at heart. I talked to my now husband, who was fully supportive of me enrolling. And I thought to myself, “Where do I want to be one year from now? I’m not where I would like to be blogging right now. If in one year, I am still in this same position struggling to figure things out, I will be upset that I didn’t enroll. I will have wasted a year that I could have spent with EBA’s guidance.” That was what convinced me to enroll later that evening. With EBA in hand, I launched From Pennies to Plenty in the spring of 2017. I knew almost nothing about blogging for business but was determined to try my best at it. I worked through the course slowly at my own pace from March 2017 to when finished it in December 2018. During that time, From Pennies to Plenty grew a lot. I’ve gained a lot personally from being a part of EBA too. I know the basics of building a quality reader-centric blog. I’m part of a community of knowledgeable and supportive business-oriented bloggers. This has been hugely helpful to the blog’s growth. I attended the blogging conference ACTIVATE EBA Live twice. I’ve been invited to participate in events related to my blogging niches. I can honestly say that I wouldn’t be where I am today in blogging without Elite Blog Academy. When I first started learning about blogging as a business, I was soooo confused by all the information out there. I watched webinars for expensive courses about course creation and videos on advanced affiliate marketing. How did I even get to those!?! I had barely launched my blog and had only a few subscribers to my email list. I was studying the wrong information for me at the time, and I was overwhelmed with all the information out there. How could I go from beginner to established money-making blogger? That’s what EBA has done for me. It’s given me the instruction I needed to go from the very beginning to now establishing a profitable blog and brand. I’ve taken many paid courses since I enrolled in EBA. They’ve been more specific to topics like Pinterest and affiliate marketing, but I reached the point of needing those after establishing my blog well first. I still feel to this day that EBA is the best educational purchase I’ve ever made for my blog. Now you might be thinking that EBA is perfect for you! It’s gonna take you from $0 to $100,000K in no time. You’re gonna be posting about the things you love and rolling in the dough all while working a maximum of 20 hours a week from home whenever you find the time. That’s the dream, isn’t it? I’m gonna burst your bubble a bit so that you know what EBA is about and if it’s really for you. Blogging myth #1: You’ll become an overnight millionaire. Blogging is NOT a get-rich-quick scheme. You may have heard lots of success stories, but they very likely didn’t get there quickly. The testimonials for every course (not just EBA) showcase the most successful people, you know, the ones earning $100K within a year of starting a blog. Ask yourself how many people have done this and if it’s really replicable. You would get a more realistic idea of your earning potential by asking what the average person in the course has accomplished. But you don’t hear many “unsuccessful” stories – people who started and worked hard for years to gain traction and those who just gave up. In terms of profit, I think it’s very reasonable to not earn anything in your first 6 months of blogging. You may only earn a small amount of money in your first year of blogging. This is common. It’s not a matter of smarts either. Plenty of smart people who are successful in other areas of life struggle with monetizing their blogs. EBA will set you on the right path, but no course can guarantee you income and know that you may be working on your blog for a long time (1+ years) before earning significant income. Taking EBA and blogging in general is much like going to school. Everyone receives the same lessons, but there’s a huge variation in outcomes. If blogging for profit were that quick and easy, everyone would be an overnight blogging millionaire, but I bet 99% of bloggers are not. Blogging myth #2: You only have to work a few hours a week. Think if EBA as a college class. It gives you foundational tools to build a blog, including a huge support network, but it doesn’t do the work for you. Almost every successful blogger will tell you that blogging is work and a lot of it! Some people work faster and some people work slower. Still, you’d be hard-pressed to find a brand new blogger who works only a few hours a week during their children’s naptimes and suddenly makes a full-time income after 3 or 6 months. I’d be skeptical of those claims and you should be too. Blogging myth #3: One course will give you all the tools and answers to be a successful blogger. EBA is a foundational course for the serious blogger. It’s popular because it works, and the content gets better and better with every update. (EBA 4.0 is out in Feb/March 2019.) But it does not provide every answer or tool you need for blogging. Enrolling in a topic-specific course for a deep-dive into Pinterest, SEO, affiliate marketing, etc. Hiring someone to set up or maintain the tech side of your blog if you are tech-challenged. 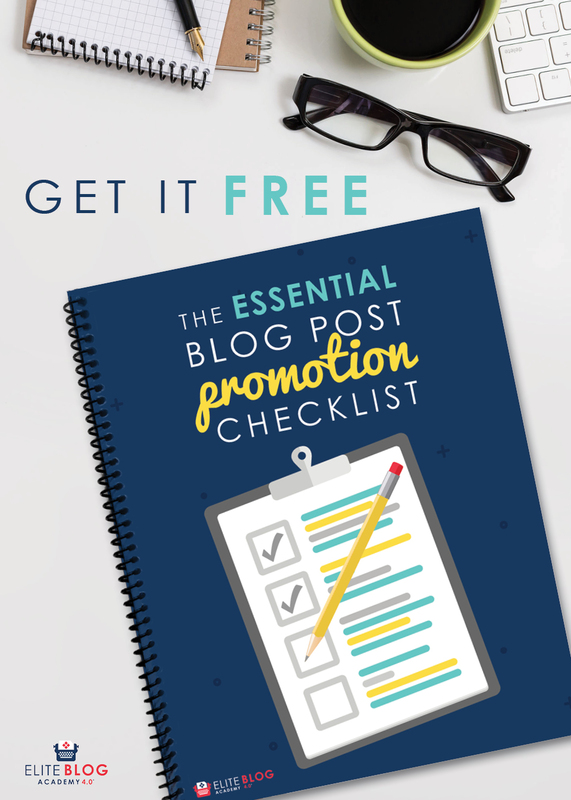 EBA provides you with a solid framework to build a profitable blog. 1) Start with the Fundamentals – This unit covers topics such as determining your blog topic or niche, creating a blog budget, finding your avatar, designing your website, and brainstorming post ideas. 2) Grow Your Traffic – This unit covers topics such as how to talk about your blog, networking with other bloggers, how to grow your email list, and using social media to gain traffic. 3) Monetize Your Platform – This unit explores different monetization methods, how to create a product, and how to promote products for a successful launch. 4) Building Your Business – This unit covers continuing to refine your message, growing your team, and developing a business plan. A proven step-by-step strategy for building a profitable blog. You’re doing things in the right order and not trying out 10 different things at once. There’s no fluff built in. Everything has a legitimate place in building your business. Access to lots of motivated and successful bloggers. The EBA Facebook group is the highest quality FB blogging group I’ve found. It’s filled with new and seasoned bloggers from various niches and with lots of different experience. These people are on the board answering whatever questions are asked. I’m a member of some free FB blogging groups and they don’t even compare to the EBA one in terms of content, knowledge, and support. Lifetime access. I can’t tell you how wonderful it is to be a part of a course that is on the pulse of blogging and strives to be so continuously. You don’t have to worry about the course being abandoned and having the content grow out-of-date. That’s an incredible deal because you’re essentially getting several (future) courses for the price of one now. Note that the price of the course will only go up with each passing year. Lock in the price now and take advantage of all future updates without paying any more money. You want to achieve your blogging goals faster. Learning to blog is not much different from learning a language or another vocational path. You can spend hours upon hours researching to learn those things and may be led wayward by bad information (believe me, it’s out there), or you can sign up for a class and learn a proven method step-by-step from someone who knows it well without wasting your time. You need guidance and support to achieve your goals. Some people do a lot better at achieving their goals when they have teachers and positive support behind them. There are times in blogging when you’re going to get discouraged and even want to quit. You can’t quit though if you want to be successful. The EBA course and its members are very positive and forward focused. You can afford EBA. Let’s be honest, EBA is not cheap. I think I paid about $700 for it in 2017 and the price has gone up since then. It won’t get any cheaper in the future. The lowest price of 3 tiers for EBA 4.0 is $997. I was lucky I could afford it and had the full support of my partner to purchase it. I don’t ever recommend people put themselves in a financially precarious situation to finance a non-essential purchase (frugal living blogger here!). But if you can afford EBA in some way now and you want it, I would suggest purchasing it. Consider though that you can make your money back if you implement EBA well. It’s not lost money when you create a profitable blog. You have the time and motivation to complete the course. It takes a lot of time to work through the course. You have to have time daily or at least weekly to work on it. Many people finish it within a year, but a lot of people find it takes them even longer. You have to be disciplined and motivate to continue working at it even after 6 months or more without seeing huge gains or if you’ve spent time away from it. 1 | How much time do I have to invest in the course? It comes down to how much time you have and how much you need to learn. Some bloggers have grown their blog to a comfortable income level on 10 hours a week or less after about a year of work. I think this is atypical unless you work on the right things to advance your blog every time you get on the computer. Those things include creating quality content, growing your email list, creating and launching a product, and writing guest posts. These are things directly affect your income. EBA will help you hone in on the right things to do for your blog, but the amount of time you have to invest will still vary. Those with previous tech and blogging experience will likely need less time to make the same amount of progress as someone who’s a complete newbie. I’ve gotten to where I work about 10-15 hours in an average week. If you have extra funds, you can hire people to do things to advance your blog and you’ll see faster growth. If you want to do things as low cost as possible, then you have to spend more time figuring things out yourself, which can slow down the growth of your blog. 2 | How long will it take to complete the course? The course is self-paced so there’s no set amount of time to complete it. It depends on a number of factors, mainly how much time you regularly devote the course and its implementation. The shortest time recommended to complete the course is 3 months (12 units at 1 week each). It’s possible but not probably to do the course well in 3 months. One example is that it’s recommended to move into the unit on product creation once you’ve reached 1,000 email subscribers. Most new bloggers don’t get 1,000 subscribers in a week and maybe not even in the first year. If you follow all the instructions exactly as laid out, it will likely take you more than 3 months to complete it. It took me about 1 year and 9 months to complete the course. This was with months in between without working directly on the course. I was in maintenance mode for some of the time and ventured to try other things at times. Think of it this way: you’re setting up a business that you plan to run indefinitely. You want to finish the course to see your blog grow and earn some money, but you’ll be doing this for the foreseeable future. So it’s okay if it takes you longer to complete the course. You’re in blogging for the long haul. 3 | How does EBA compare to other courses? Dare to Conquer (previously Billionaire Blog Club) – I’ve been on Scriv’s email list for a long time now. His teaching style and overall approach are different – less marketing, less flashy, no BS. He’s very insightful about different aspects of growing a blog and online business in general. Dare to Conquer is actually a series of courses covering not just blogging, but other things like Pinterest, SEO, and more. The price recently went up in price to $1000, which is comparable to EBA. EBA is not the only way, just as there’s no one way to teach in school or build a business. You’ll find many bloggers out there who have worked their way into profitable blogs without ever having taken a comprehensive course like EBA. They figured it out themselves at the expensive of time, effort, and maybe money. What EBA does for you is gather all the best up-to-date information out there about starting and growing a blog and present it to you in a way that is most helpful for you to succeed. 4 | What is the teaching style? EBA is currently presented in video and print forms. Each module and each unit has a corresponding video with the transcripts available. Assignments are provided in written form. Check out these free blogging materials from EBA to get an idea of how the material is presented and if you find the information valuable. You have to provide your email address for access. Additional events are scheduled for February and March 2019, where you’ll hear Ruth talk and see how she teaches. The following are all free! 5 | What are the negatives about EBA? Very strict return policy. As stated on the EBA website, you have to submit homework from all 36 assignments within 365 days from purchase in order to be eligible for a return. You should also submit before and after blog design, analytics, and income reports. If you do the work, your blog will grow so you won’t qualify for a return. Hopefully you won’t want one either after seeing the course work for you. Limited technical assistance. EBA does not cover is the technical side of setting up a blog beyond the basics. I use Squarespace, so this is not so much a problem for me as it might be for someone with a WordPress blog. Some people really get stuck with the technical aspects of getting their blog running and then maintaining it. Other EBA students give recommendations for top tech support. 6 | Is EBA really worth it? I’ve found EBA to be absolutely worth it. I see the value in what Ruth teaches in the course itself. I’ve also taken advantage of all the partner bonuses and the Facebook group. All of these things have helped me create a solid foundation on which to continue building my blog. I might still be dawdling around today without a solid direction if I hadn’t taken this course. That said, everyone will have his or her own opinion about whether or not something is worth it. Most people don’t question the value of taking college courses that will hopefully lead to paying work in the future. There are no college courses that I know of that teach you how to build a money-making blog. EBA is it. If you put in the time and do the work, you will see progress and eventually profit. I write extensively here about the work, trials, and successes of blogging because I want to give a balanced view to other posts stating that blogging is the easiest, most profitable business ever. I think it’s important to know what’s ahead of you before you jump into any new venture. Most bloggers struggle to make their blogs profitable. This is why I’m a huge fan of Elite Blog Academy. Knowing now what EBA offers, I would purchase it again today if I didn’t already have it. It’s helped me become a better blogger and work towards my blogging goals sooner than I could’ve done on my own. I’m not at full-time status, but my blog continues to improve day by day. I have access to the course and all its updates and partner products forever so I can continue to improve year after year. I wish every business-minded blogger could have the opportunity to go through EBA because I find it that beneficial. If you’ve made to the end of this review and think that Elite Blog Academy is for you, you can click here to purchase it or get on the waitlist if it’s not open. I recommend getting on the waitlist so that you don’t miss the enrollment window. Space is limited and it doesn’t open again usually for another year. You also get access to a lot of great blogging materials while waiting. Feel free to shoot me questions about EBA and I’ll do my best to answer them.